Produced in concrete egg-shaped tanks with a cold soak for 72 hours. Fermentation at 22-25 °C with native yeasts. Aged in french oak for 12 months. In bottle for 9 months. Aging potential: 10 years. They harvested them in 2 different time, from different sectors of the vineyard. Between the 21th and 31st of March. Long cold maceration of 3 days at 12 ° C. Fermented in concrete ovoid vessels of 22-25 ° C. Total maceration of 16 days. The work during the fermentation is carried out very smoothly for a moderate extraction. Aging: aged in french oak barrels for 12 months. In bottle for 9 months. Suitable for 10 years aging. 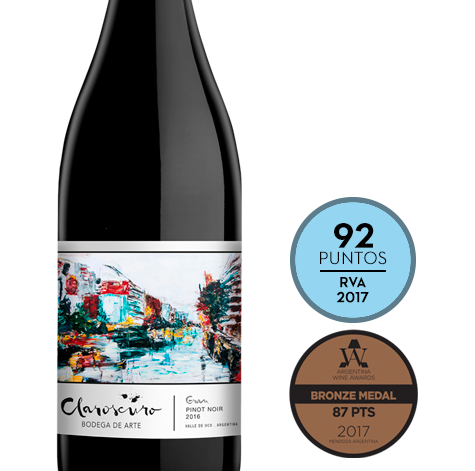 Light colour with reddish notes, moderate intensity characteristic of a cold year like 2016. Highlighting aromas of spices and white fruits. The 2016 was an excellent year for Vistaflores, some consider it one of the best years of history for the Pinot noir. 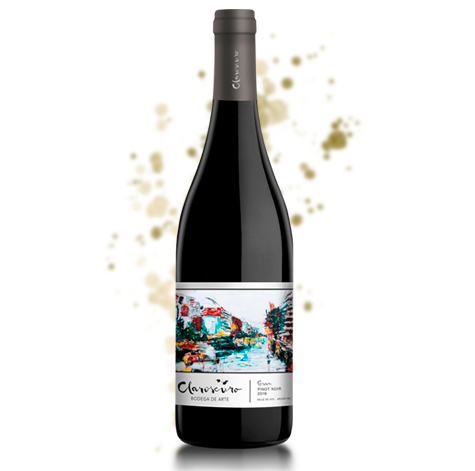 The intensity of aromas typical of our grapes, complexed by its passage in French oak and the aging in bottle, make of this a Great Pinot. Long aging potential.